In response to student feedback, Library and Learning Services now offer a variety of study zones and areas. For these to be effective all students are asked to abide by the regulations on each of the library floors. Scroll to find out more about study areas. Group Working: Learning Zones and The Greenhouse cater for group working and we have bookable Syndicate Rooms in the Kimberlin and Hugh Aston Law libraries. Quiet Study: Quiet study areas can be found in all of our Library spaces. Silent Study: There are dedicated Silent Study rooms on the Second Floor of the Kimberlin Library. These provide spaces for conversations amongst groups of students. These areas can be found in all of our library spaces, and include the Learning Zones. There are also bookable syndicate rooms for group-working in the Kimberlin and Law libraries. These areas allow for an occasional brief conversation at a low volume with the person sitting next to you, however they are generally quiet. Quiet study areas can be found in all of our Library spaces. In these areas no talking is allowed. On the Second Floor of the Kimberlin Library you will find two dedicated silent study rooms and also one silent study IT room. The library has six bookable individual study rooms and two Accessible Study rooms (KL00.06 & KL00.07) for Assistive Technology registered users. The Study Rooms can be booked online by DMU students. Click here to access the online booking system. Your single Sign-On username and password is required. Walk-up bookings may also be made at the door of each study room for available slots. The library has ten Syndicate Rooms for group working (8 x Kimberlin, 2 x Law Library), six Individual Study Rooms and, for eligible students, two Accessible Study rooms. 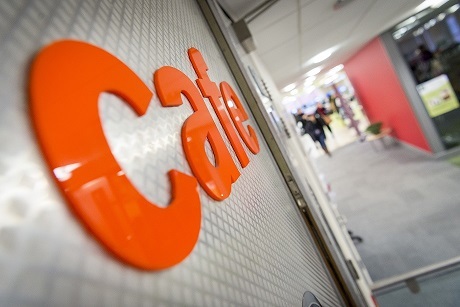 Our study rooms are only for use by DMU students and can only be used for study, rather than social use. 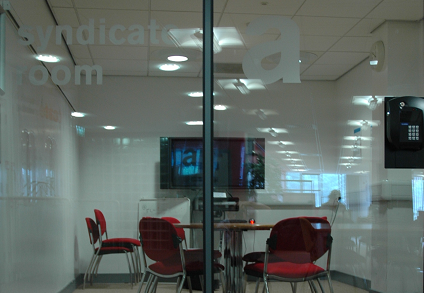 The Syndicate Rooms holds up to 8 students, with the Individual Study and Accesbile Study Rooms holding a maximum of two. A limit of two bookings per week (each booking up to four 30-minute slots) applies and your Single Sign-On username and password is required. Walk-up bookings may also be made at the door of each study room for available slots. You can book online up to 10 days in advance - use your Single Sign-On username and password to log in and book. You can book a room by clicking on the image below. Throughout Kimberlin Library, the Eric Wood Learning Zone and The Greenhouse you may consume hot and cold drinks, and cold food such as sandwiches. Hot and takeaway-style food are not allowed in any of the Library and Learning spaces. In the Law Library, no food of any kind is permitted, and only bottled water may be consumed. The Library Café sells hot and cold drinks, snacks and sandwiches, and can be found on the ground floor of the Kimberlin Library.